Recently, I returned from a Caribbean cruise. Of all the cruise itineraries enjoyed by people from the US, Caribbean ones seem to be the most popular. The Caribbean is accessible from a variety of US port cities – Miami, New Orleans, New York, Boston, and more. Prices are reasonable with 4- and 5-day cruises starting at $250. It’s easy to take a quick, reasonably-priced Caribbean cruise. Caribbean cruise destinations are divided into three groups, although there is often overlap. The Western Caribbean includes Jamaica, Grand Cayman, the Bahamas, Haiti, Belize, and parts of Mexico. The cruise I went on also stopped in Roatan, Honduras. The Southern Caribbean includes stops at St. Thomas (US Virgin Islands), St. Maarten, Antigua, Barbados, St. Lucia, St. Kitts, the British Virgin Islands, Curacao, and Bonaire. The Eastern Caribbean includes the US and British Virgin Islands, the Dominican Republic, and the Bahamas. I’ve been on a couple Western Caribbean cruises by different cruise lines and I’ve found the offerings similar from each. On my recent cruise, we stopped at Costa Maya and Cozumel, Mexico. Costa Maya, like Cancun and Playa del Carmen, is located on the Yucatan Peninsula – the part of southern Mexico that juts out into the Caribbean sea. Beautiful beaches and resorts are abundant in this area. 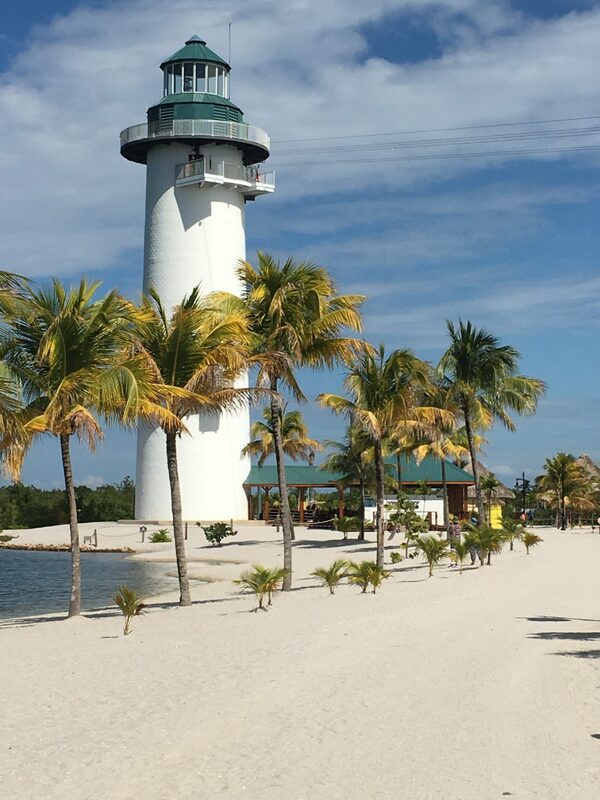 Cozumel is an island off the the coast of the Yucatan Peninsula and a popular cruise destination. 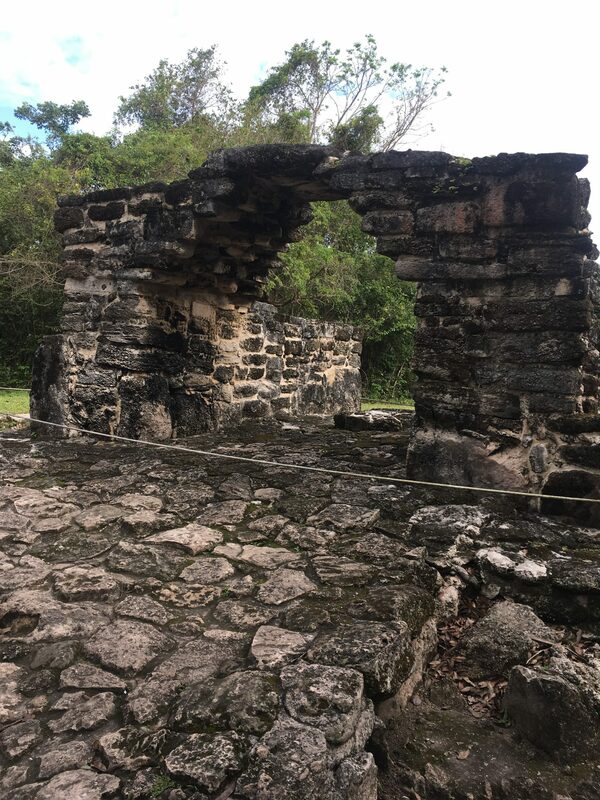 San Gervasio is an small archaeological site on the island that includes several Mayan ruin structures. Most of the island is uninhabited and has been set aside as a natural preservation area. There are some very nice beaches along the eastern shore. Ship-sponsored excursions and activities in this area are varied. If you are interested in seeing Mayan ruins, there are several on the Yucatan Peninsula. The most famous one is Chichen Itza, about 40 miles inland and in the northern part of the peninsula. There are others including Tulum, Coba, and Ek Balam also located on the peninsula. San Gervasio is small but located on the island of Cozumel. 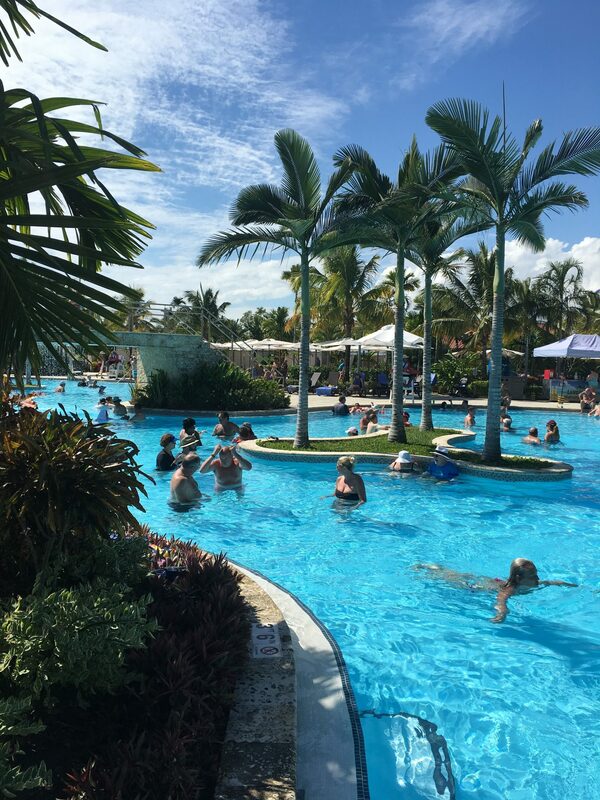 Beach, pool or snorkeling adventures are available at all ports of call. Snorkeling and scuba diving in this area is some of the best available. There are always opportunities for shopping. Popular purchases include jewelry and handcrafted items. Be careful when purchasing items, though; make sure you understand the quality. Prices may be inflated – bargaining is usually acceptable. Jamaica is an interesting island with a variety of things to see and do. If you arrive via cruise ship you will most likely stop in Montego Bay, Kingston, or the popular, Ocho Rios. 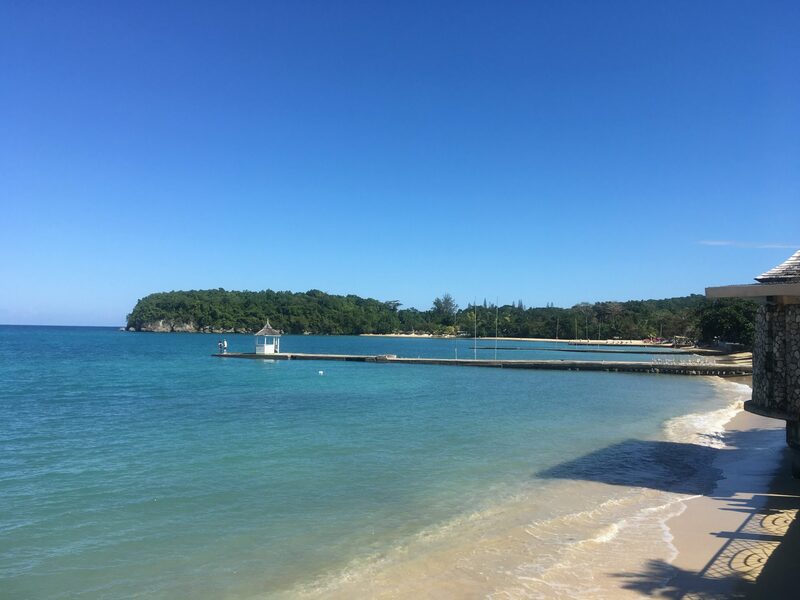 Ocho Rios may be the most popular because of its close proximity to Dunn’s River Falls. The waterfall flows slowly down a series of smooth rocks. Guides lead guests on a walk through the falls (wear a bathing suit). I had a blast walking the falls a few years ago, but I’ve heard it can be crowded. If you’d rather not walk in the water, there is a set of stairs along side the falls. 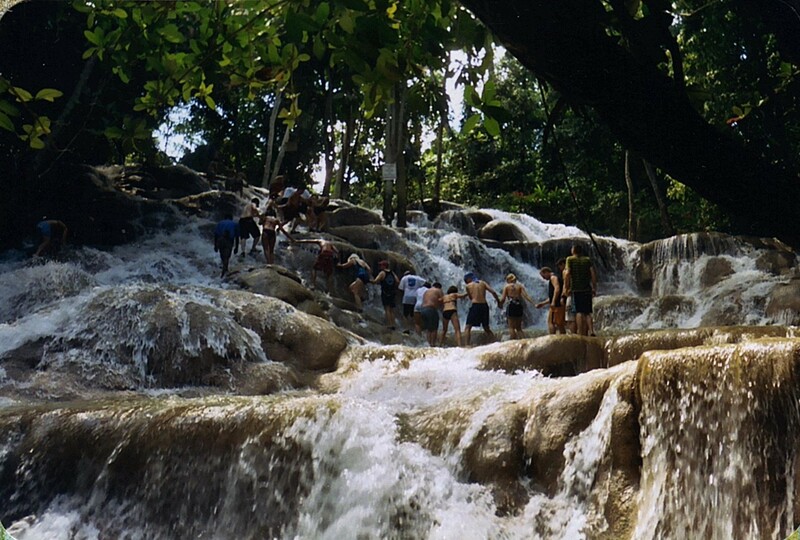 There is more to Jamaica than waterfalls, though. On our visit this time, we were able to visit a working plantation. Although it may not sound interesting to everyone, I enjoyed it. 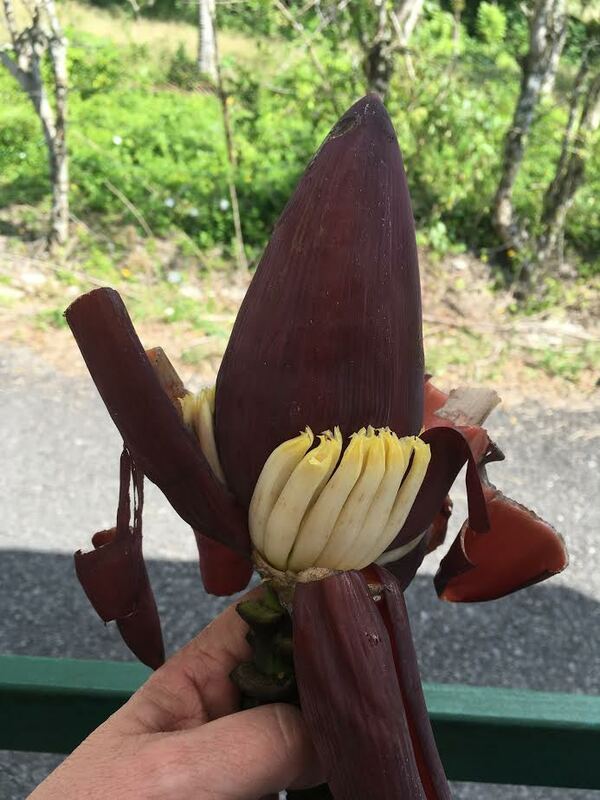 Throughout the country, plantation owners produce coffee, sugar cane, coconuts, and bananas. Jamaica, like other Caribbean islands, has wonderful beaches. On our excursion this year, we visited a small resort where we enjoyed a delicious lunch of Jerk Chicken (a bit spicy), salad, and rice or potatoes. Although many tourists only see beauty or even luxury when visiting Jamaica, the country has many poor areas. Some from our group that didn’t go on the excursion, chose to walk into the town. They were able to see the reality which is often hidden from tourists. I wish I knew how to help. Grand Cayman is known for two types of activities – banking and water sports. I didn’t go to Grand Cayman to do banking. Part of the island of Grand Cayman is in the shape of a horseshoe with a large bay in the middle. This shape provides miles of beaches per square foot of land. The first time I was in Grand Cayman, I did a snorkeling excursion. 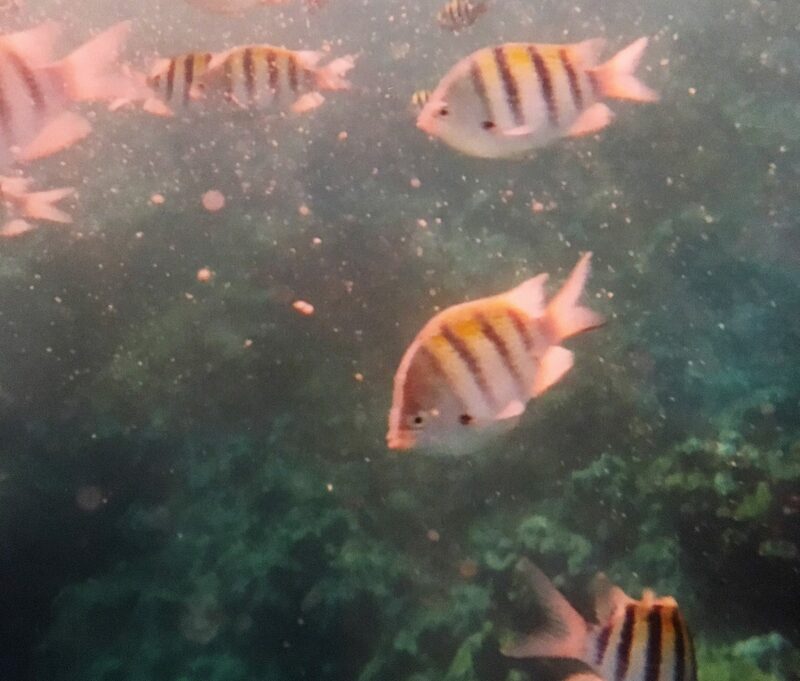 They waters in the Caribbean are especially clear, making them great for snorkeling and scuba diving. Grand Cayman has a large turtle farm in the West Bay. The farm produces green sea turtles for meat and for replenishing the species in the wild. Each year over 1800 turtles are released into the Caribbean Sea. Grand Cayman is also home to Stingray City. Initially, the stingrays were attracted to fish remnants left by fishermen cleaning the day’s catch. Divers and visitors started to come come to the area to see the graceful rays. Before long, the area became a full tourist attraction with boats bringing hundreds of visitors each day. 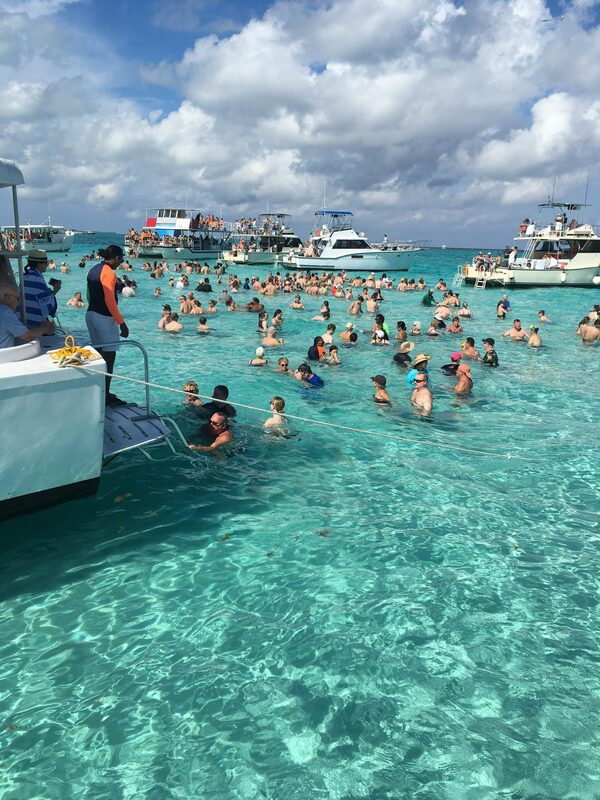 On my recent cruise, I visited Stingray City on a planned excursion. Although very touristy, seeing the beautiful creatures was amazing. 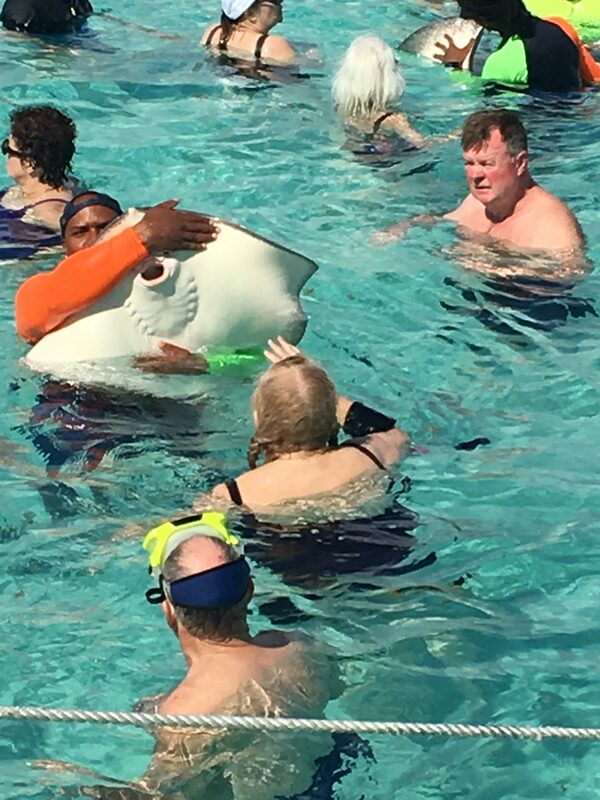 The guides were careful not to let the tourists harm the rays. Though I wondered if it was safe (and still do), I’m glad I was able to participate. This was just a sampling of the western Caribbean ports of call. I think my favorite part of all was being able to spend time in the sun. We had one chilly day, but overall the weather was great. Knowing family at home was dealing with snow, made the sun feel even warmer. Have you been on a Caribbean cruise? What was your favorite part?